Kitchen & Bedroom Interiors Ltd are a family run business established over 4 years and with over 30 years experience. 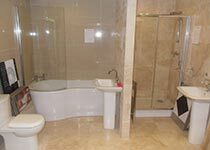 We are manufacturers, suppliers and installers of kitchens, bedrooms, bathrooms & sliding doors. 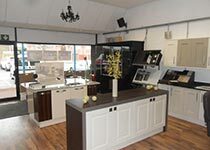 Our Showroom is based in Haydock, Merseyside and we are open for business 6 days a week offering a huge range of designs including modern, contemporary and traditional. Kitchen & Bedroom Interiors Ltd are suppliers of laminate, quartz, granite, smart stone and solid wood work tops also painted or printed glass splash backs or laminate splash backs. In addition to all of the above, Kitchen & Bedroom Interiors Ltd create tailor made bespoke kitchens and bedrooms, eco kitchens and sliding bedroom doors all supplied and fitted. 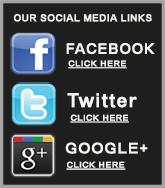 For a free survey and quotation, please feel free to call Kitchen & Bedroom Interiors Ltd today. 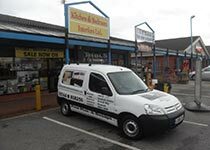 Established for over 4 years, we are a professional kitchen/bedroom/bathroom company based in Haydock, Merseyside. Here at Kitchen & Bedroom Interiors Ltd, we offer a individual design and planning service with the latest 3D technology to ensure you make the right decision and help you visualise your kitchen, bedroom or bathroom project. Kitchen & Bedroom Interiors Ltd have kitchens to suit every ones budget. We will not be beaten on price compared with quality from tailor made any size to maximise storage from floor to ceiling and wall to wall. We also offer eco kitchens with a huge range of sizes and excellent quality and affordability. At Kitchen & Bedroom Interiors Ltd all work is carried out by professional tradesmen with very high standards and vast experience inc plastering, gas, plumbing, electrics, tiling or kitchen, bedroom & bathroom installations. We are fully insured and give full guarantees on all projects. At Kitchen & Bedroom Interiors Ltd, the job is project managed from start to finish giving the customer one point of contact at all times. At Kitchen & Bedroom Interiors Ltd we care for our customers not only do we offer fantastic guarantees and professional installation to a very high standard we have an excellent after sales service for complete peace of mind. "Our reputation is paramount and means everything!"